WALTHAM, MA--(Marketwired - Jun 7, 2016) - SHYFT Analytics, a leader in cloud-based data and analytics solutions for the global life sciences industry, today announced senior leader Priya Sapra has been named Chief Product Officer. As a veteran of the analytics industry and the former Vice President of Analytics at SHYFT, Sapra will own, design, and implement the company's vision for products derived from the SHYFT Enterprise Platform. She will continue to interface with customers to address their evolving data challenges and develop novel approaches for leveraging analytics to impact better patient outcomes. During her tenure at SHYFT, Sapra has helped guide the company towards rapid growth. In 2015, SHYFT experienced a breakout year citing 100 percent growth in life science customers. Many of those deals were for SHYFT RWE, a product that accelerates patient-level outcomes and analytics; a concept driven and created through Priya's vision and leadership. Through this product, SHYFT RWE implementations are now occurring in some of the world's largest life sciences organizations, enabling data-driven decisions across the clinical and commercial continuum. In her new role, Sapra will lead the overall product vision for SHYFT, execute all components of the product roadmap, and future-proof the evolution of SHYFT's analytics platform. From critical features and design, to technology and accessibility, Sapra will balance the needs of today's customer requirements with SHYFT's unique perspective on the future of Healthcare analytics. 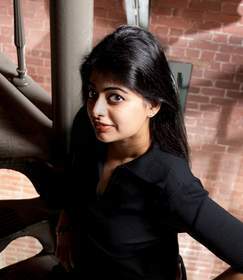 For her work, Priya has recently been announced as a top-20 finalist for India New England's Woman of the Year 2016 (www.indianewengland.com/woman-year-2016/). "During her tenure at SHYFT, Priya has demonstrated the unique ability to identify what problem may be next for the industry to solve and yet still focus on addressing the business needs of today," said Zackary King, CEO and Co-Founder of SHYFT Analytics. "Her unique mix of technical, data-oriented and analytics-centric aptitude as well as her healthcare business acumen is an incredibly valuable asset to our entire team. Priya will continue to be at the forefront of patient-centric data models and translate her innovative thinking and enthusiasm into tangible business results for our customers." For more information or to join the SHYFT team visit http://shyftanalytics.com/culture-careers/. SHYFT Analytics is the leader in cloud-based data and analytics solutions for global life sciences. The company delivers smarter, timelier access to novel insights that provide new ways to look at the healthcare business to increase competitiveness, enhance customer engagement and grow revenue. Purpose-built for the life sciences industry, SHYFT's Enterprise Cloud Analytics Platform is the fastest way to transform healthcare data into actionable insights and achieve significant scale and agility. More information can be found at www.ShyftAnalytics.com. Connect with SHYFT on Linkedin.